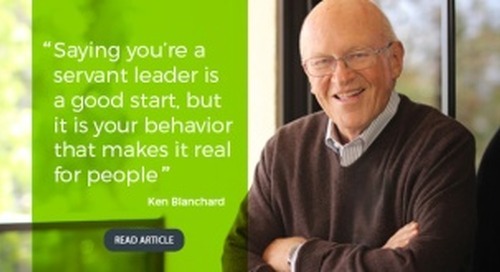 Ken believes the way you answer that question determines how you approach leading others. If you’re here to be served, you think leadership is all about you. You expect people to follow and obey, you don’t see any need for feedback or discussion, and you believe it’s your job to keep people accountable. 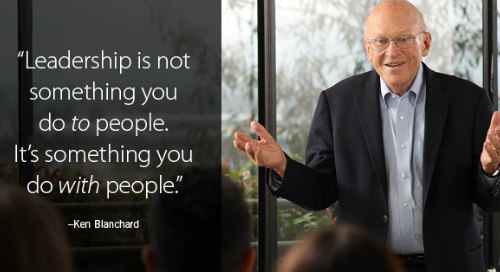 But if you’re here to serve, you take the time to listen, you invest in developing people, you seek out others’ opinions, and you enjoy catching people doing things right and cheering them on. When Ken asks that question, almost everyone responds that they want to be seen as a serving leader. But what specific characteristics do servant leaders demonstrate to demonstrate this mindset? 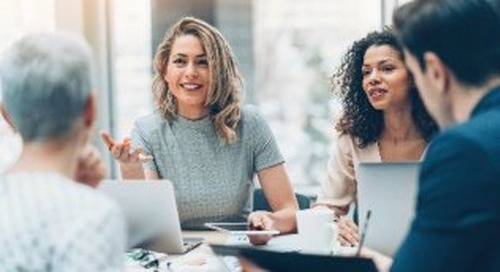 In a series of executive briefings held in Houston, Ft. Lauderdale, and New York, we asked 130 leadership, learning, and talent development professionals to identify the attitudes, skills, and behaviors of a servant leader. We researched the answers and identified more than sixty attributes. Wondering what personal qualities people look for when they think about servant leadership? Topping the list was empathy, closely followed by selflessness and humility. Also mentioned multiple times were being authentic, caring, collaborative, compassionate, honest, open-minded, patient, and self-aware. Would people see you as a serving leader or a self-serving leader? 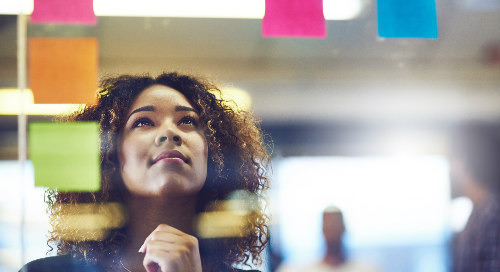 Score yourself on each of these eleven servant leader attributes by answering yes, no, or somewhat, based on what you think people might say. My people would say I am empathetic. My people would say I am selfless. My people would say I am humble. My people would say I am authentic. My people would say I am caring. My people would say I am collaborative. My people would say I am compassionate. My people would say I am honest. My people would say I am open-minded. My people would say I am patient. My people would say I am self-aware. How did you do? Don’t feel bad if you can’t give yourself a perfect score. Most people—even those considered very good leaders—fall short in at least a couple of these areas. One thing all of these behaviors have in common is your willingness to set aside your own agenda and focus instead on what’s happening in the lives of people who report to you. Centering less on your needs and more on the needs of others will help you build the additional strengths that make people want to follow you. Servant leadership is a better way to lead—and one that leads to higher levels of engagement, performance, and human satisfaction. 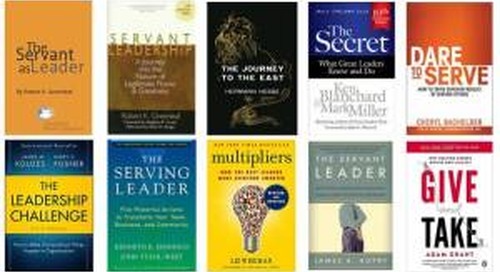 Interested in exploring servant leadership at an organizational level? 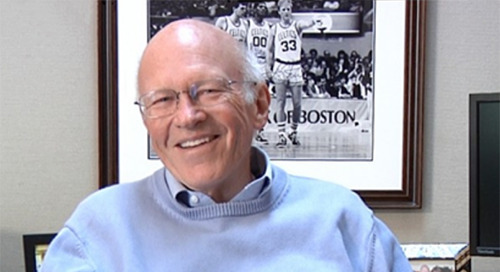 Don’t miss two great opportunities coming up from The Ken Blanchard Companies! 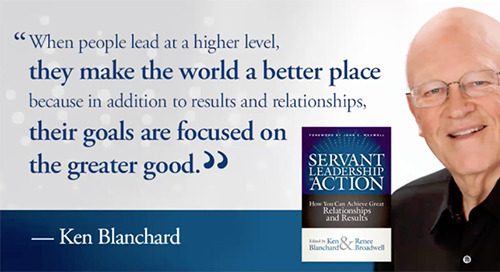 Beginning September 25, you can join The Ken Blanchard Companies for a live, face-to-face servant leadership networking event in one of 13 cities in the US and Canada! Explore servant leadership concepts together with other leadership, learning, and talent development professionals in your metropolitan area. See which city is closest to you here.